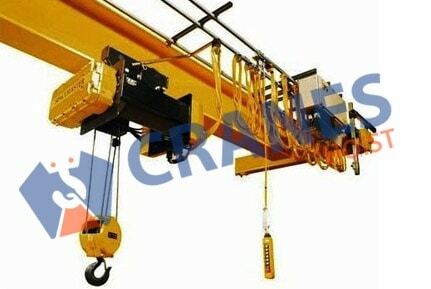 We are tagged as stupendous manufacturer and exporter of overhead HOT cranes. Our overhead HOT cranes are building with best grade materials. At Modheswari engineering and fabricators, we have organized a high-tech fabrication system focused on quality and performance of the cranes. By understanding varied industrial and domestic requirement for material handling, we have designed and fabricated vast range of overhead H.O.T cranes. 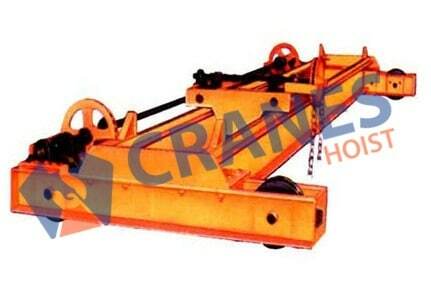 Our entire series of cranes are made with best grade raw material to offer safe and sound material handling. Our all ranges of overhead HOT cranes contain crane duty motors. Efficient gears and motors are the back bone of our crane systems. 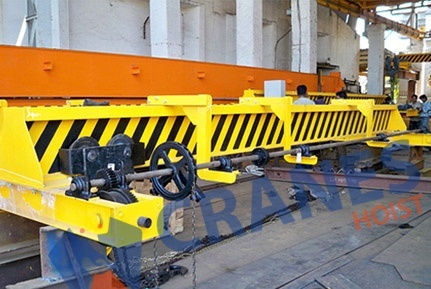 To hand over highly safe and sound material handling equipment, our cranes are provided with AC/DC brakes that favorably support the system to handling starting, stopping and reversing functions. Each and every structural part and structural steel parts are made with global standards to meet varied industrial applications. It is provided with positive splash lubrication. Forged hook (IS-3815) and specially made wire rope (IS-2266) along with twin drive arrangement are good back up for safe material handling.